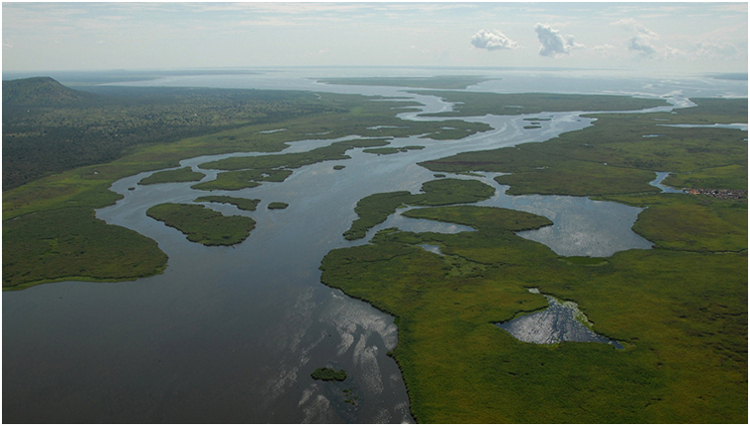 The view from the air over Lake Victoria (map). Photo courtesy of the U.S. Army Africa Command. Used under the Creative Commons license. 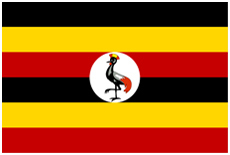 The Republic of Uganda is a landlocked country located in East Africa. It is surrounded by Rwanda, The Democratic Republic of the Congo, Sudan, Kenya, and Tanzania, and contains a substantial portion of Lake Victoria in its Southern region. The capital city of Uganda is Kampala, and the entire nation is roughly the size of the state of Oregon in the United States in terms of land area. The dominant ethnic group in Uganda is, naturally, African. English is the official language of the country, although Swahili is widely used, as well as Bantu and other Nalotic dialects in the North. The country's population lives predominantly in rural areas. The country is about 85% Christian, 12% Muslim, with the remaining 2% comprised of other belief systems. Agriculture makes the largest contribution to the country's GDP. The geography and climate of Uganda varies throughout the country, from equatorial marshes in the south to dry plains in the north, toward the Sudanese border. This diverse geography has made Uganda more temperate than surrounding countries, while also serving to protect its people somewhat from tropical diseases that are more widespread in the surrounding region. 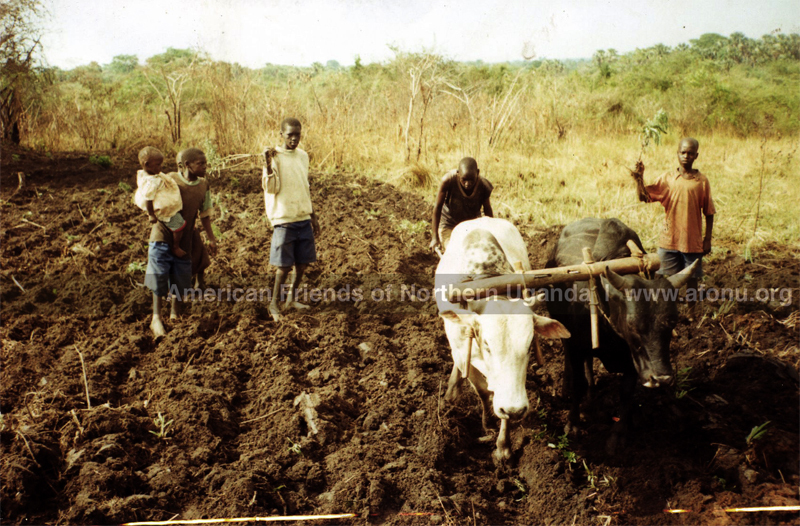 Uganda also has the advantage of considerable amounts of arable land, though much of this is underutilized. Like other heavily-indebted nations that have poorly-developed economies, Uganda is saddled with environmental concerns, the greatest of which currently include deforestation, overgrazing, soil erosion, and the draining of wetlands for agricultural use with little oversight. And, while the country contains several national parks, management is mostly insufficient and poaching of wildlife is widespread. More information on Uganda's geography can be found on the Wikipedia article Geography of Uganda and the CIA World Factbook entry Uganda. 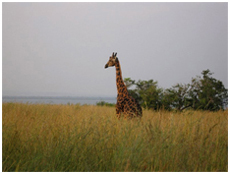 A giraffe in one of Uganda's national parks. 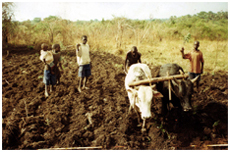 For the most part of the world's history during which people have inhabited what is now called Uganda, it has been populated with hunter-gatherers. During the course of the past one to two millennia, however, the people slowly organized into small kingdoms in response to internal social challenges and interaction with others. In the 1830s, traders from the Arabian Peninsula and Persia began to establish inroads into the isolated region, followed by British explorers in the 1860s, and Protestant and Catholic missionaries in the 1870s. 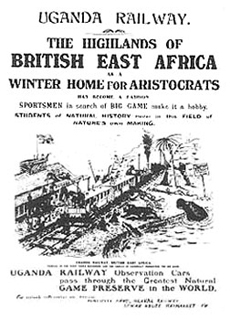 The British East Africa Company ruled Uganda as a protectorate starting in 1884, and as area was consolidated and peoples were gathered, the land area presently known as the Republic of Uganda began to take shape in 1914. In the years following World War II and during the emergence of the modern era, the elite of Uganda gained independence as the British Empire (like other European powers) divested itself of its former colonies. The politcal and social climate that emerged in the time since has been marked by violent and dramatic changes of power within the government, economic instability and stagnation, and social disorder. In 1971, Idi Amin siezed the government's top position and ruled the country through the military through the remainder of the decade. During that time, an estimated 300,000 Ugandans were murdered. Amin also forcibly expelled the widely-entrepreneurial Indian minority from the country, which was disastrous to the nation's economy. The three decades since Amin's rule have been marked by dramatic power flip-flopping, and Uganda has, as a result, made few gains in stability, economic security, and civil prosperity. A 19th-century British newspaper advertisement. Northern Uganda has suffered from especially great civil unrest since the early 1980s, when hundreds of people were killed in the rebellion against the Ugandan government and an estimated 400,000 people were left homeless. A rebel group called the Lord’s Resistance Army (LRA) based in Northern Uganda abducted thousands of children to serve as fighters in their attempt at an overthrow. As the conflict with the government intensified, people began to move into protected camps. The LRA rebels operated in the district of Lira, Gulu, Apach, and Kitgum in Northern Uganda. People of Gulu, Kitgum, and Pader continue to be terrorized by the LRA. People in those areas have been the victims of brutal attacks and kidnappings. The LRA has captured and enslaved more than 20,000 children, most of them under the age of 13. The group has captured and raped many girls, and boys as young as 5 years are forced to serve as guerilla soldiers. These kidnapped young children are forced to go through a series of induction rituals in order to turn them into fighters—the first of which often is to kill another child. 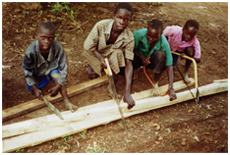 The LRA forced abducted children to axe or batter their own parents to death. The group has also killed or tortured children caught trying to escape. The LRA roams the Northern Uganda countryside in small units, surfacing unpredictably to torch villages, kill people, and kidnap children before returning to the forest in Congo and areas in Southern Sudan. The phenomenon of child "night commuters" is a testament to the brutality and harm that the LRA is continuing to inflict to residents of the region. The LRA's terror tactics and bloody clashes between the rebels and the army have caused 1.6 million people—or about 90% of the Northern Ugandan population—to flee their homes and become refugees in their own country. 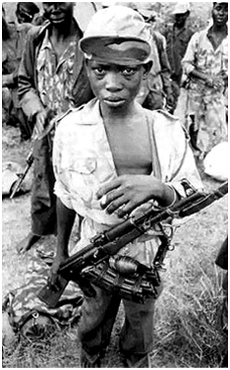 One of the more disturbling phenomena of the ongoing Ugandan Civil War: child soldiers. Why are the people in Northern Uganda struggling? During 2008, peace negotiations occurred between the LRA and the Ugandan government, and because of that there has been relative peace in Northern Uganda. A few people have started returning to their villages to try to rebuild their lives. Now that people have started returning to their communities, they are finding that their houses have been burned and destroyed, animals (e.g., goats, chickens, cows, sheep), which are the major sources of food and income, have been taken by the rebels. These people are faced with the reality of scarce resources in the process of day-to-day life. What do people in Northern Uganda need? Of course, not all is dismal in Uganda. People are slowly rebuilding their lives, and a large part of the assistance to do that has been coming from grass-roots organizations and private, individual donors. As an organization, American Friends of Northern Uganda currently focuses its efforts and sends aid to the Northern Ugandan village of Adwila. (See the marker on the map at the top of this page for exact location.) This village is where AFoNU's founder, Vincent Ajut, is from and, likewise, where he has his best and strongest local connections. For people struggling as those in Adwila and larger Northern Uganda are, the greatest differences in quality of life are made in just having the simple, essential needs of a clean, easily-accessible, and reliable drinking water source, and in having livestock, which is used as a renewable food resource and farming aid.